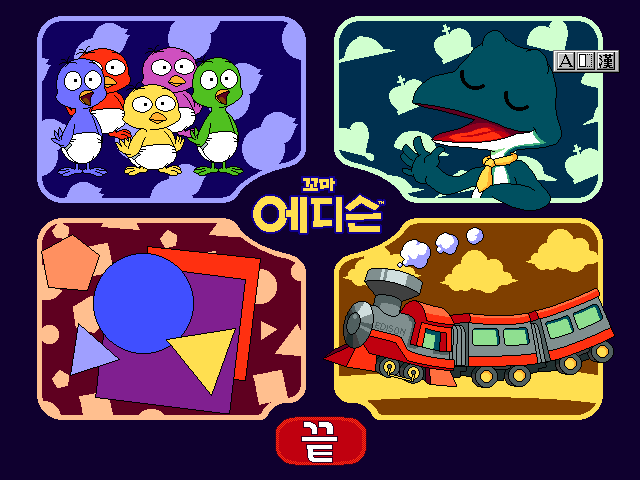 In 1997 and 1998 Family Productions made a number of edutainment and multimedia titles: Hangajok Game (한가족 게임, January 1997), Kkoma Edison ("Kid Edison", 1997), Eomma, Jyae-neun Wae Gochu-ga Eobseoyo? 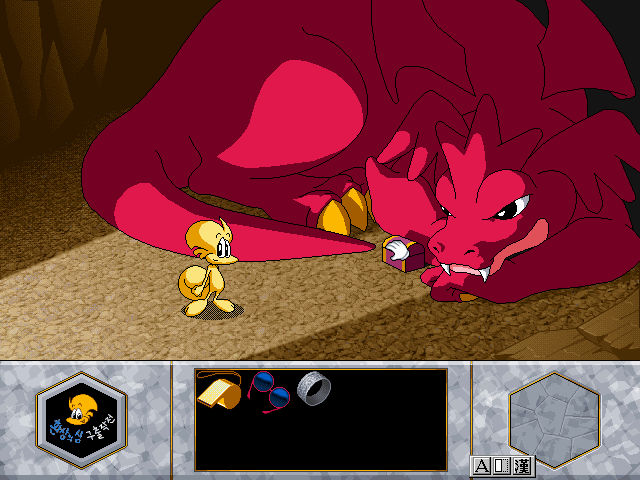 ("Mommy, why doesn't she have a weeny? ", 1998). 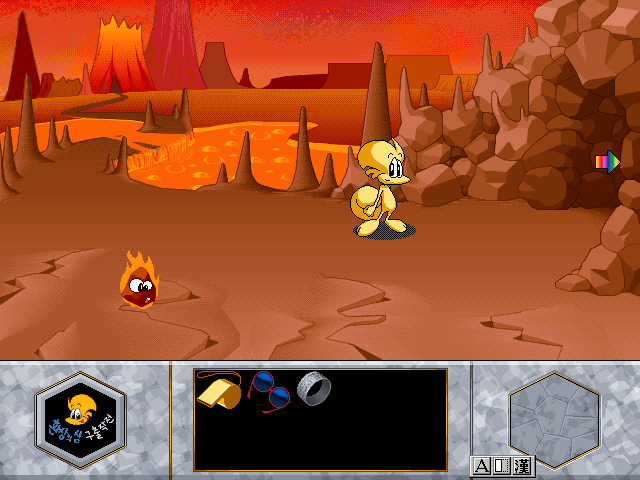 Eol is back, but anyone who expected another platformer was in for a surprise. 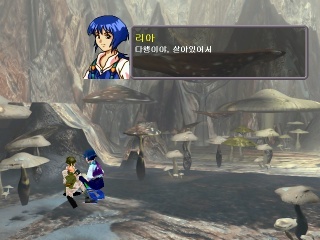 Family's first Windows game is instead a traditional point&click adventure, one of only a handful developed in Korea. The graphics in 640x480 resolution and the animations as well look just like a saturday morning cartoon, and the main audience for that medium is also targeted by Eol-ui Hwansang-ui Seom. 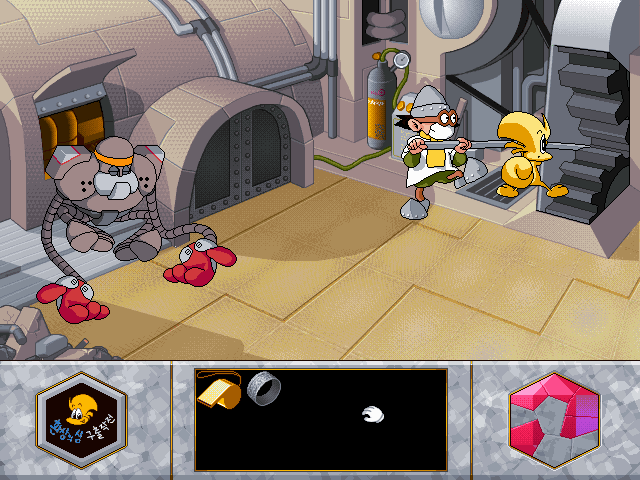 The game is fully voiced in a childish fashion, and the puzzles are almost insultingly simple. 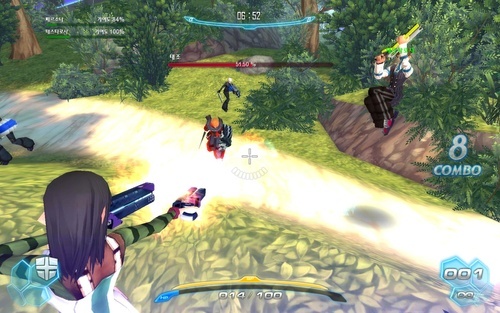 There is always only one way to interact with any given hotspot, most of the time items are even used automatically when they are just in the inventory. 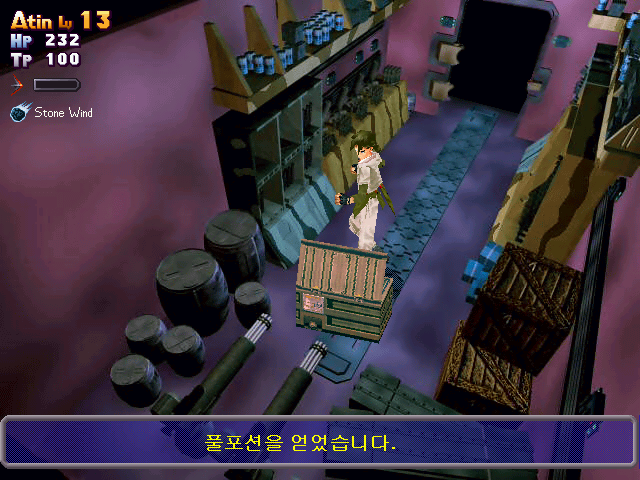 In other instances, it is enough to be in the right room when clicking an inventory item to trigger the right interaction. 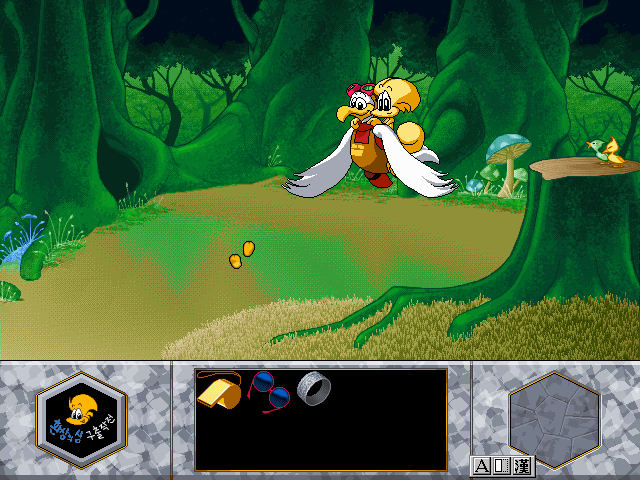 The story is equally primitive, Eol basically flies around several islands on his bird friend, fixing stuff with a magic bracelet to get pieces of a jewel whose destruction apparently caused an earthquake that separated the islands to begin with. 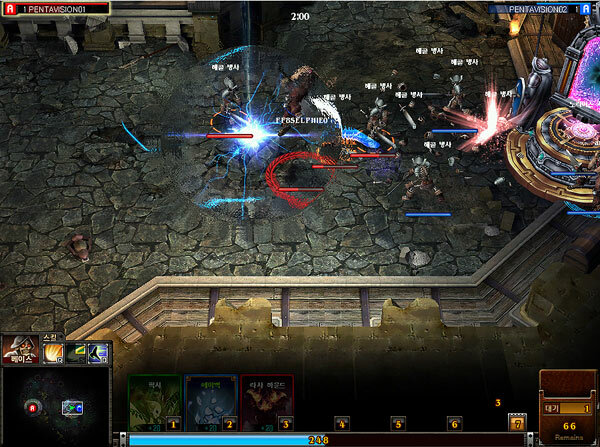 The game is also short, it can easily be solved within an hour or two. FP's only licensed game is based on an TV animated series by the same name. 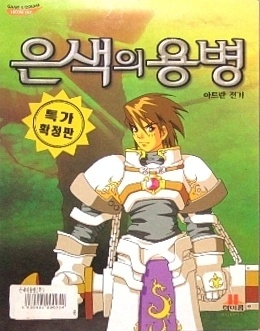 The plot reads very much like a cross between Final Fantasy and Neon Genesis Evangelion: When the post-apocalyptic kingdom he lives in is conquered by the evil empire, the typical jerk to be turned loving and caring hero by the following events, Atin, escapes together with the princess. 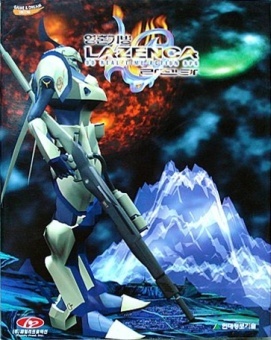 First he tries to hide from the empire's soldiers, but eventually he joins the resistance, and saves the day after becoming the selected pilot of the ancient sentient mecha Gairun. 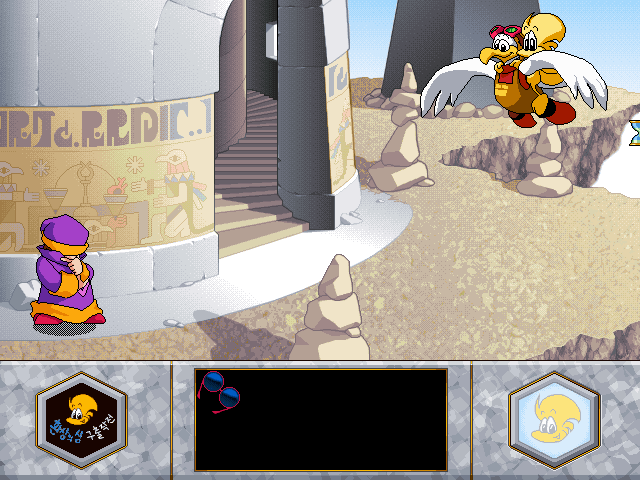 Lazenca the game on first glance also evokes memories of Final Fantasy 7. 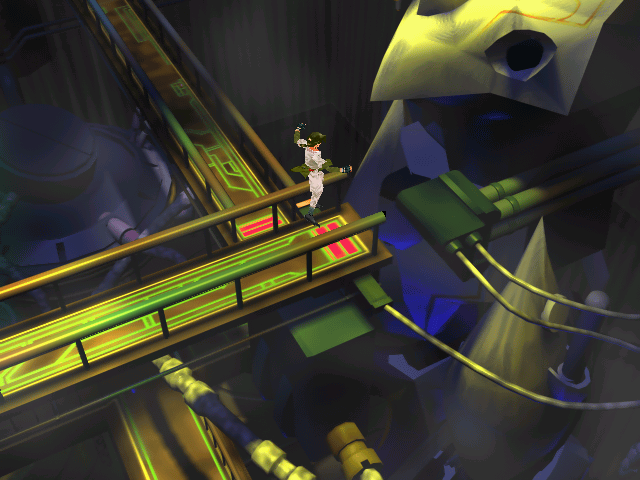 Polygonal characters acting in front of prerendered backgrounds of decaying high tech facilities are usually identified with Square's megaseller. The first time Atin gets in a fight, however, this impression is disturbed. 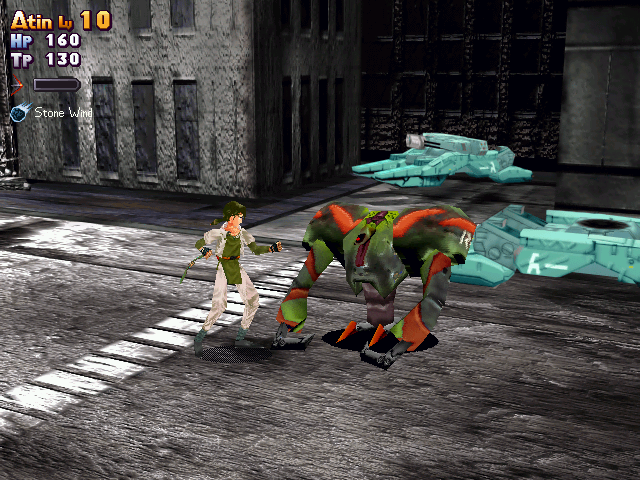 Enemies are fought in real time, almost like in a beat 'em up. Atin can either throw his boomerang at them or kick them to death. When gaining experience levels, he also learns a handful of special moves whose use depletes a pool of "TP". 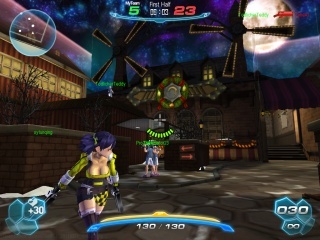 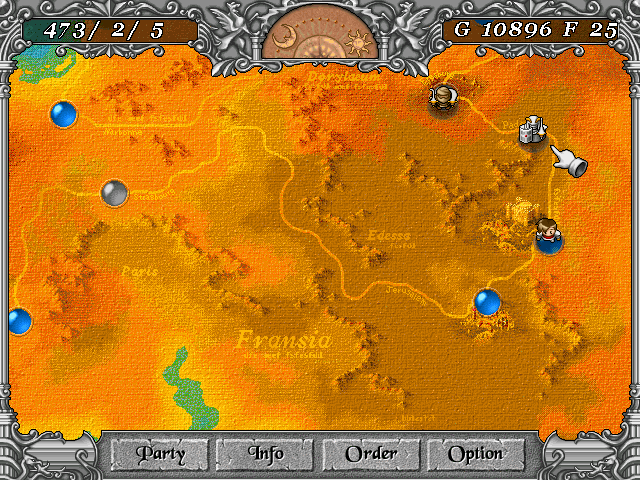 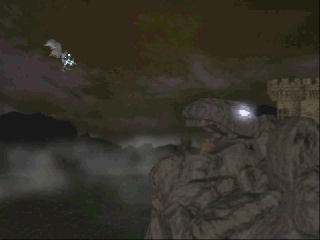 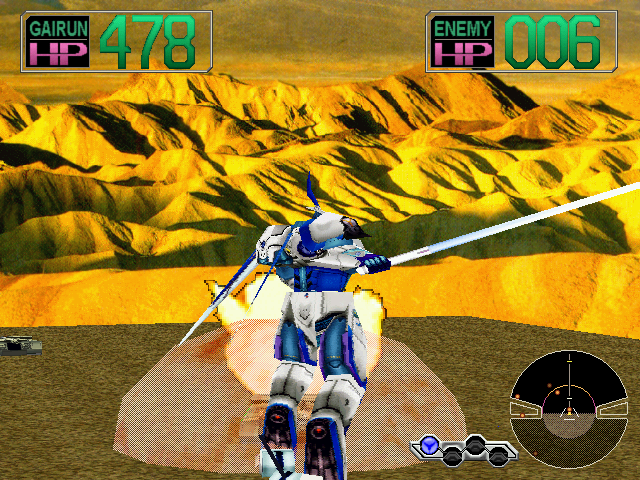 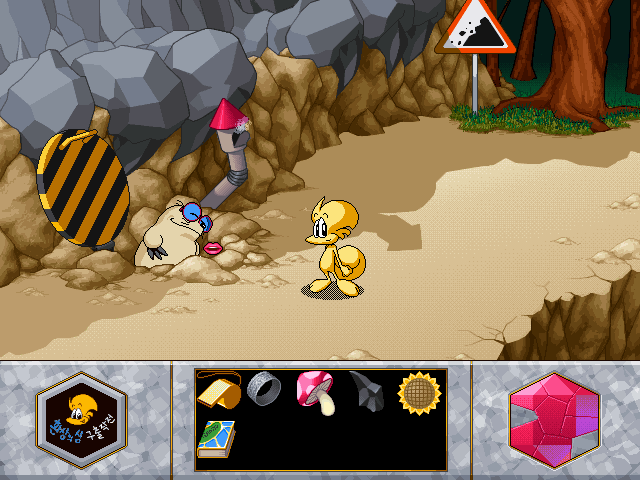 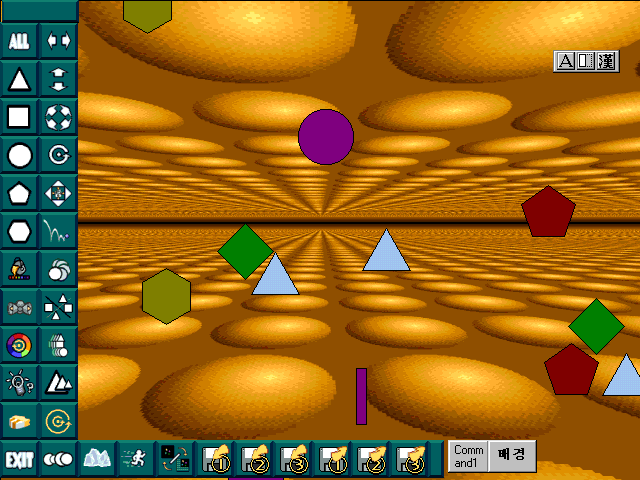 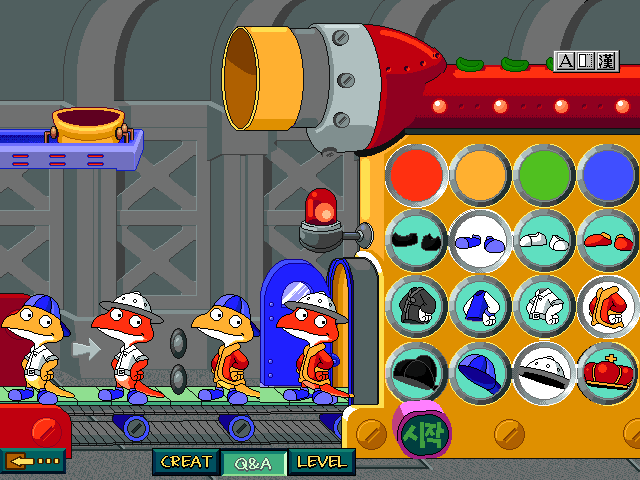 The game uses tank controls, which sometimes make it a bit cumbersome to maneuver through the screens. The backgrounds don't make a very good job at communicating where their exit points are, resulting in some confused running along the edges of the screen. 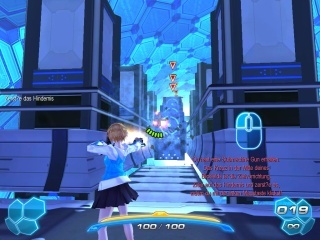 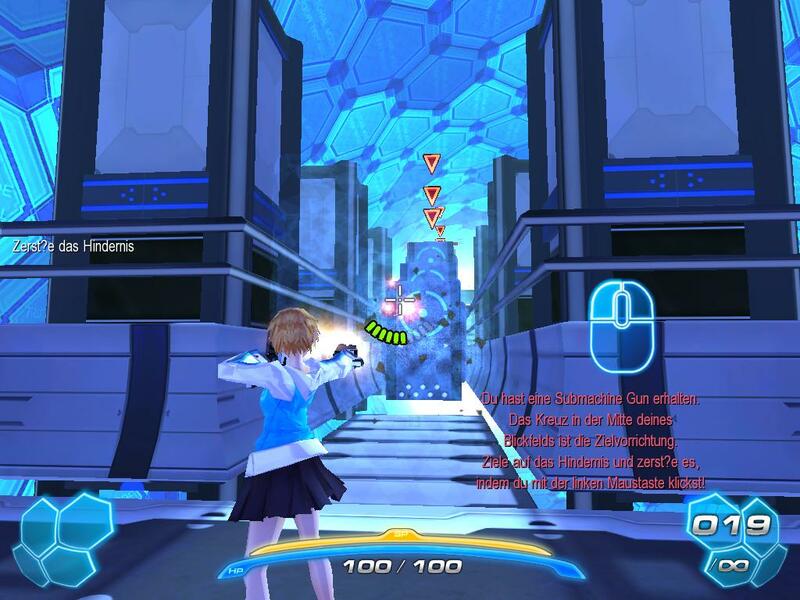 In the later course of the game there are a few sequences where Atin takes control of the Mecha, which take place on a 3D playfield and remind a bit of Virtual On, although they're less elaborate and much, much less fun. Lazenca suffers from some huge problems typical for release date critical licensed games: It feels unfinished and rushed. 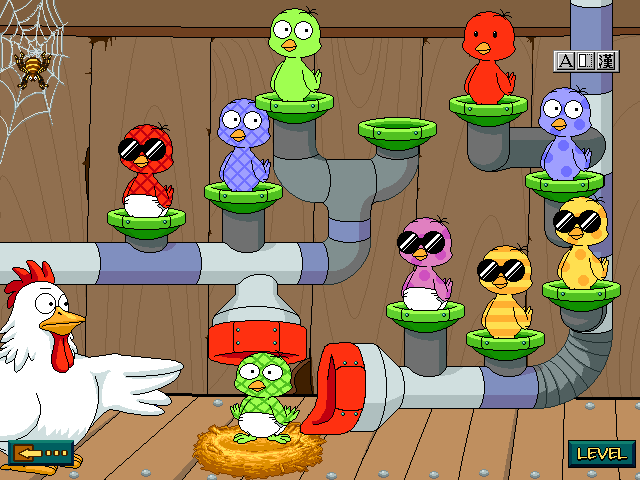 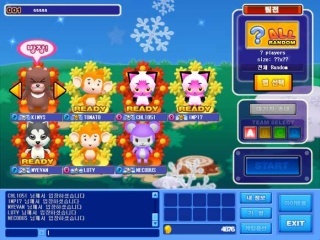 Family Production even tried to compensate its failings with a patch later, that added several enemey types and items to the game, and made some adjustments to the controls and balancing. 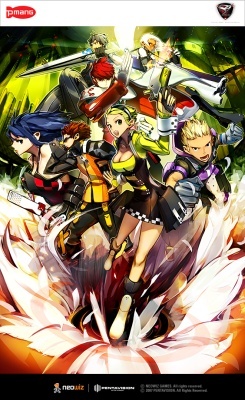 Yet even the "complete" version is much too short for an action RPG, the 13 animated episodes didn't provide plot for more than 5 or 6 hours. There's little to no challenge to the combat either, with no room nor need for character customization. 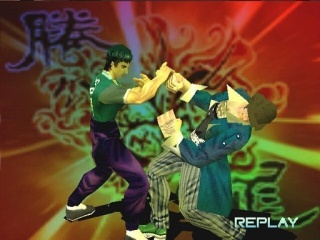 In their later days, Family Production apparently became fond of genre swapping — of all their 1998 releases, no two games play on the same turf. 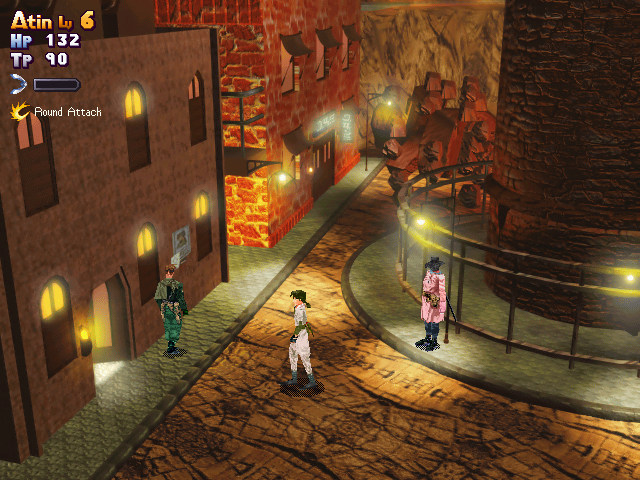 The Silver Mercenary puts players in charge of a mercenary band, who roam a freely accessible medieval realm for jobs, money and new recruits. 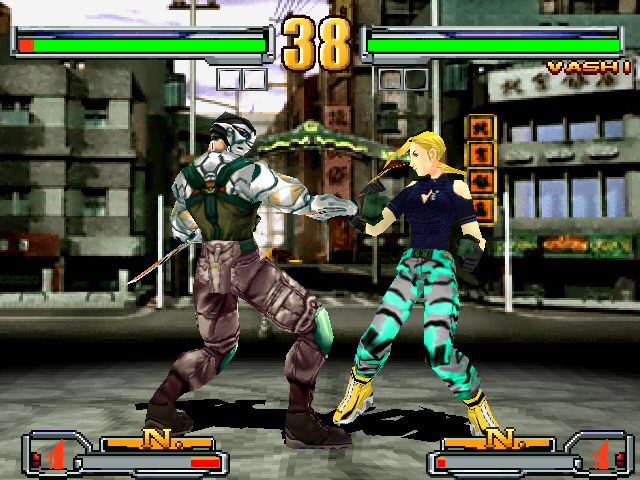 The Silver Mercenary is less focused on epic storytelling than most famous Japanese SRPG franchises in favor of this more open approach. 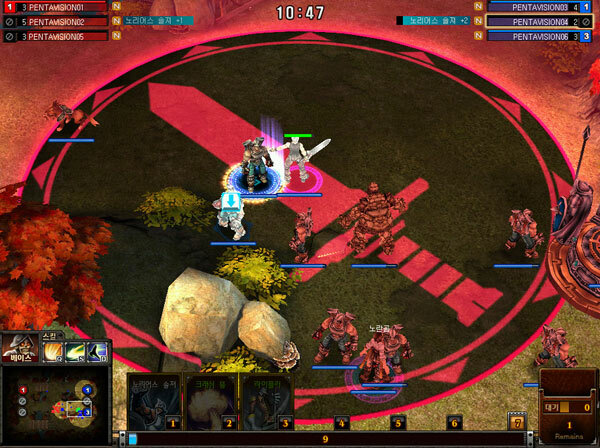 There is an overarching plot about the Iron King who is on a campaign to unify the continent, but for long stretches that hardly matters to the mercenaries. Still, there is a lot of banter and character development during the skirmishes. 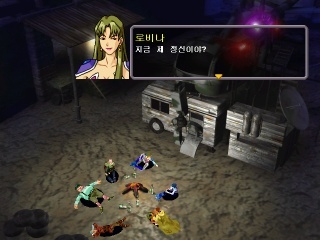 The characters talking about how they used to visit the town they're just about to attack for a contract during their childhood, or all of a sudden remembering the birthday of a fellow mercenary in mid-fight, brings a lot of depth to what would else seem almost like an open-ended, generic strategic simulation. The band finds their contracts, new troops and a place to rest in the various towns scattered over the map, as well as stores to buy valuable potions and special weapons or sell loot from their victories. 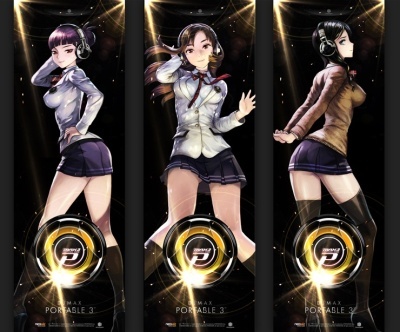 New squad leaders are hired here, who are useful in battle but devoid of any personality, never taking part in any dialogues. 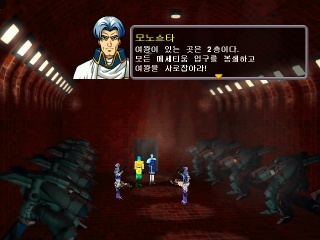 Other than in, say Fire Emblem, the leaders also never die, as they're not actually present on the battle screen. 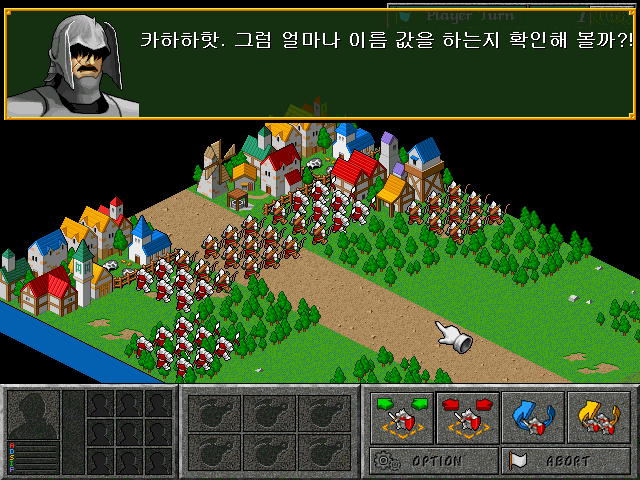 Troops to subordinate under the new leader are also hired here, with great differences in availability between locations. 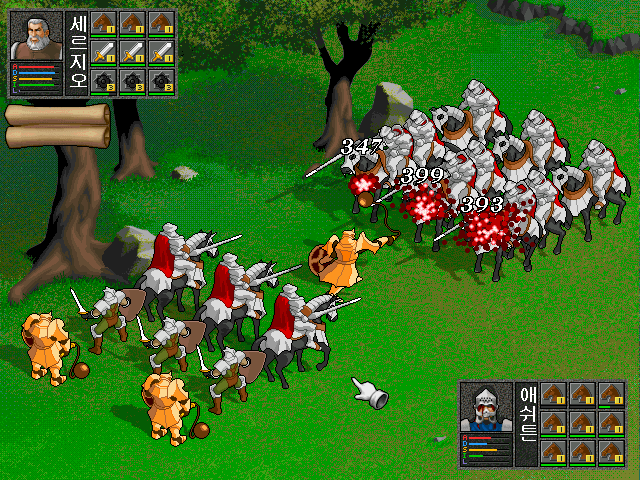 In the beginning, everything seems like a straight medieval setting, but more fantastic troops like dragons and griphons join in later in the game. 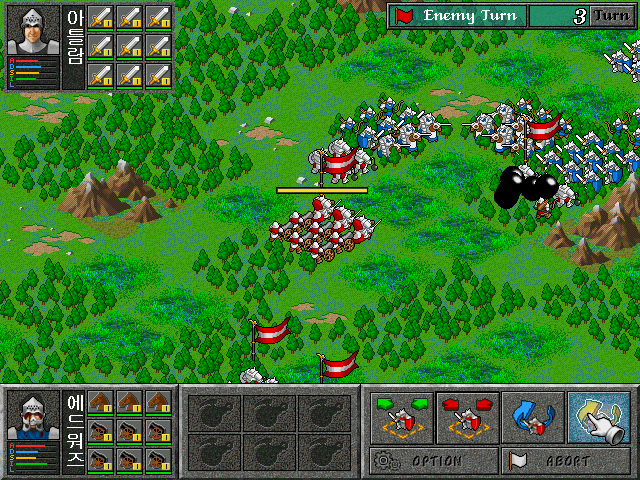 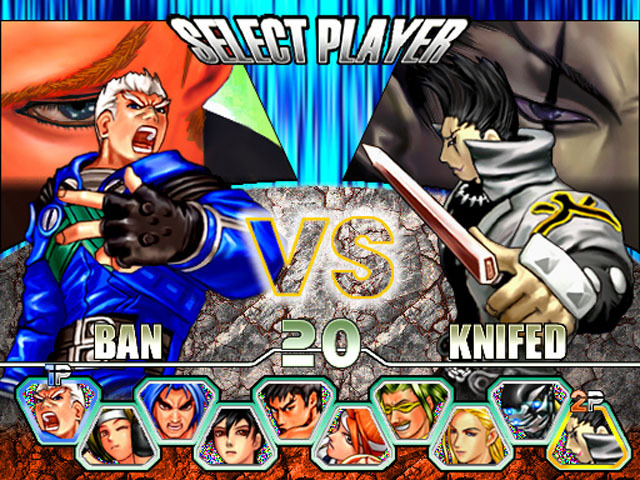 Battles are fought strictly turn-based, with each of the leaders commanding a squad of up to nine soldiers. 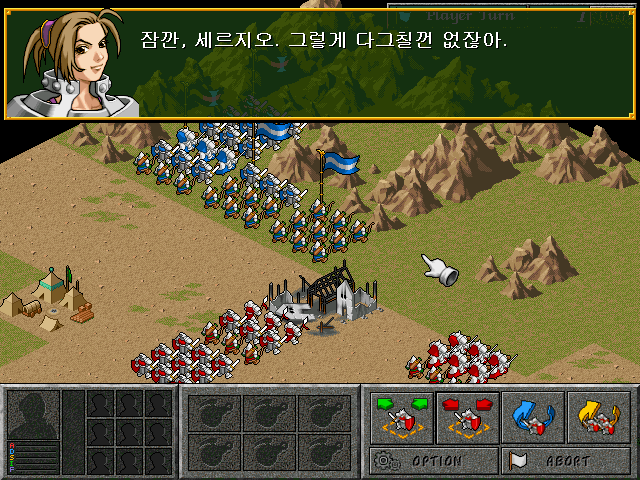 The RPG elements are comparatively laid back, and while the stats of a leader and possible equipped items do matter, the composition of different troops is always more important. 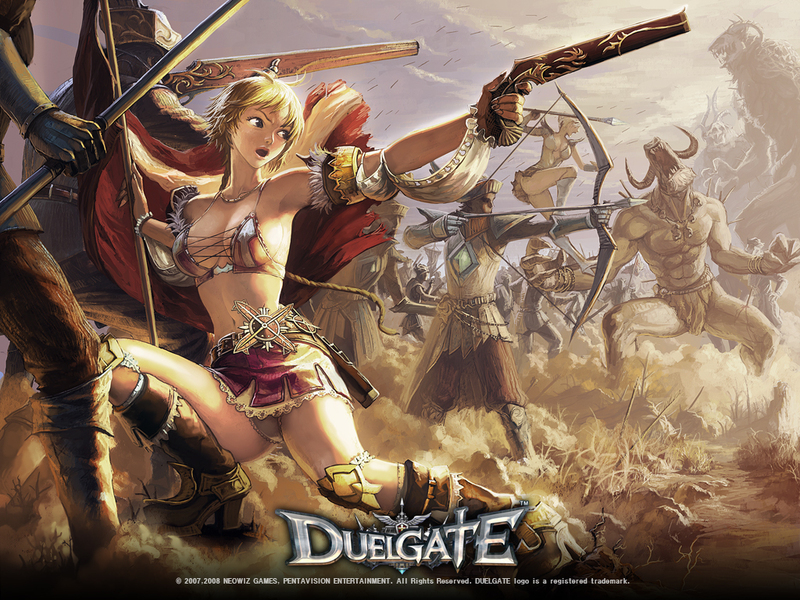 Moreover, only a significant superiority in numbers can compensate for missed initiatives and flawed positioning. 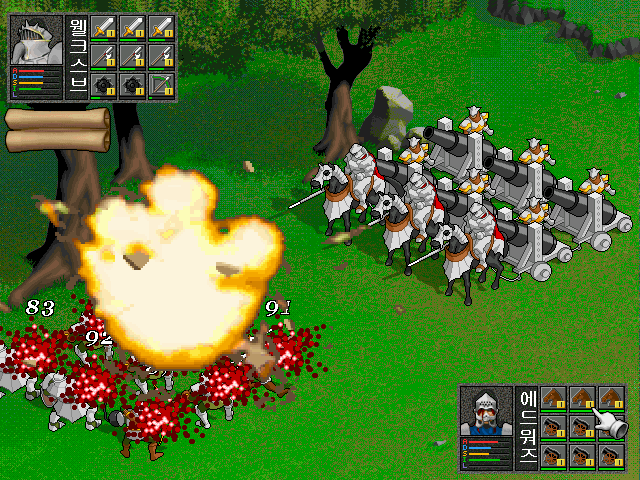 A single surprise attack can decimate a once devastating batallion of cannons into a pile of debris in no time. That said, the AI doesn't do a very good job at exploiting a players mistake, which is why the game is a bit on the easy side, spoiling a lot of its potential tactical finesse. 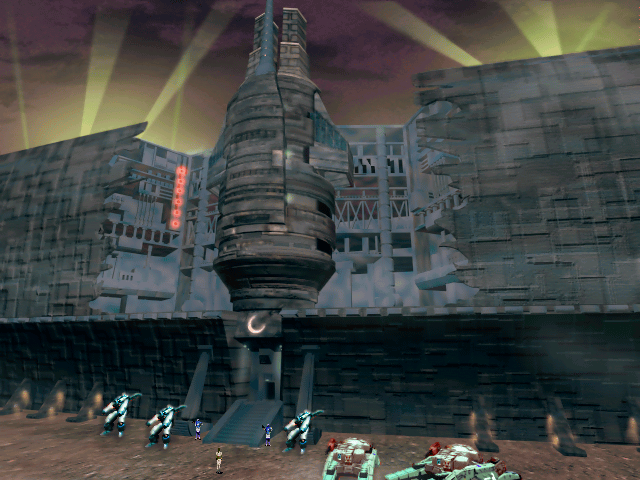 Terrain also matters, at least tactically, the visual variety leaves much to be desired. 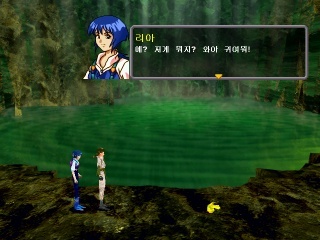 Even when fighting in the desert or in a swamp on the tactical map, the actual fight always takes place on a green meadow, only occasionally (and randomly) with a few trees or a river by the side. 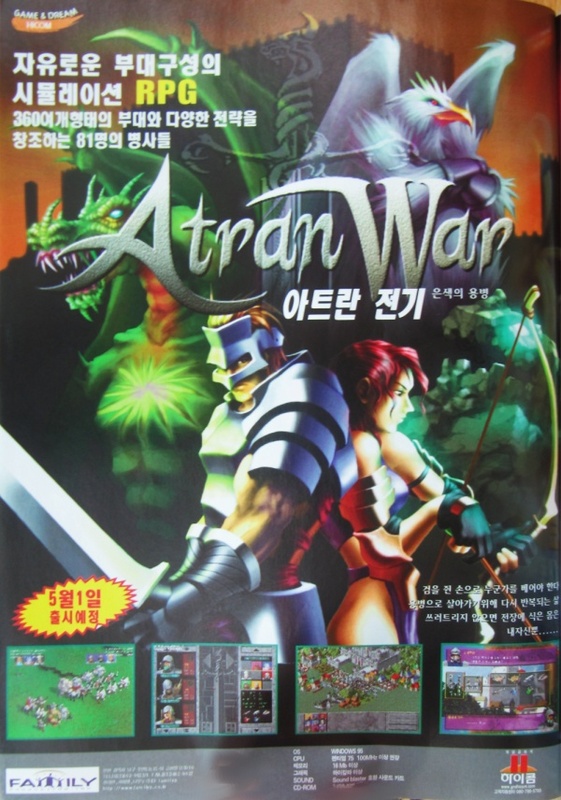 The game was originally advertised with the title Atran War. 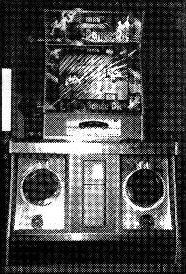 Similar to Danbi System, Family made the odd choice to shift their focus to arcade games just when the medium had begun to dwindle down the road leading to its slow and painful death. 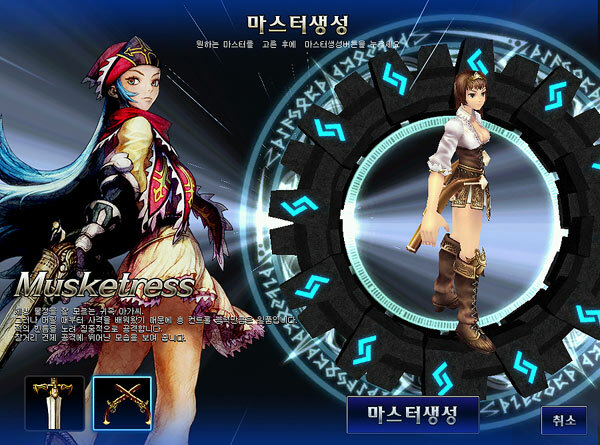 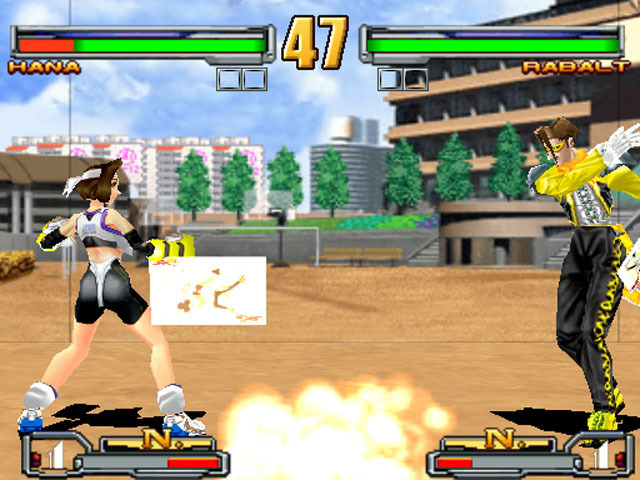 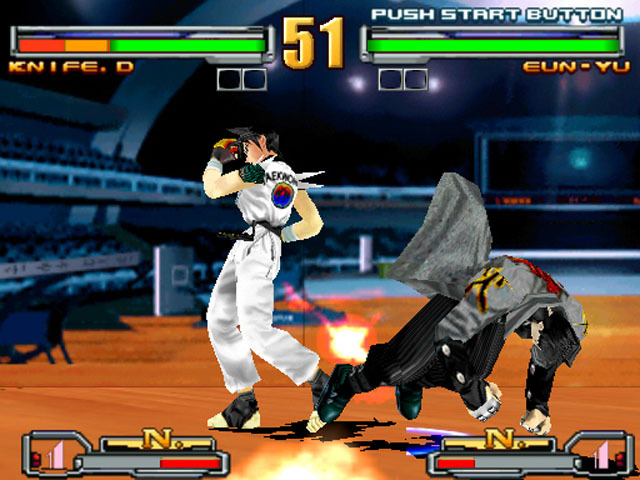 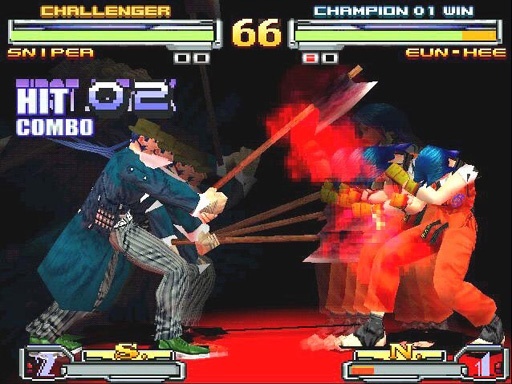 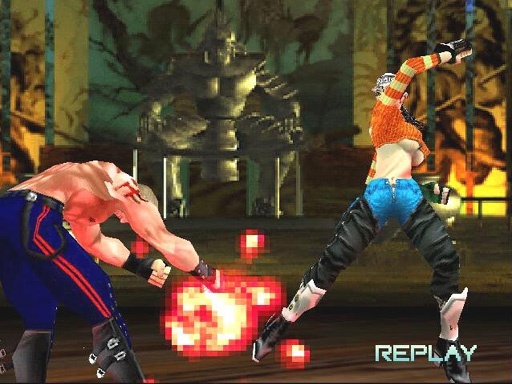 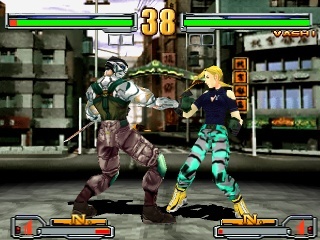 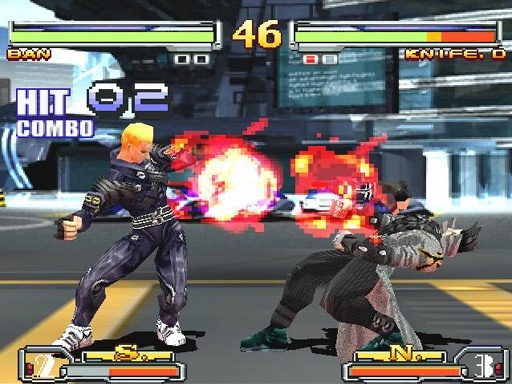 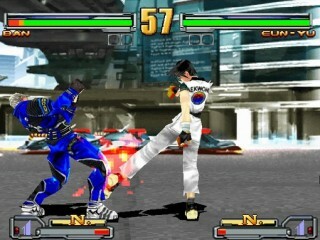 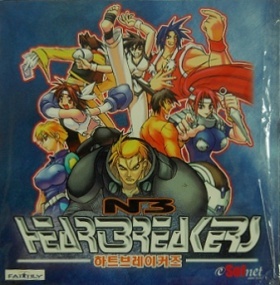 Heart Breakers could be seen as a milestone in a Korean arcade development scene still dominated by Bubble Bobble clones and mini game compilations, but couldn't hope to stand a chance on a market where it had to compete with the likes of Tekken 3 and Soul Calibur and was soon forgotten. 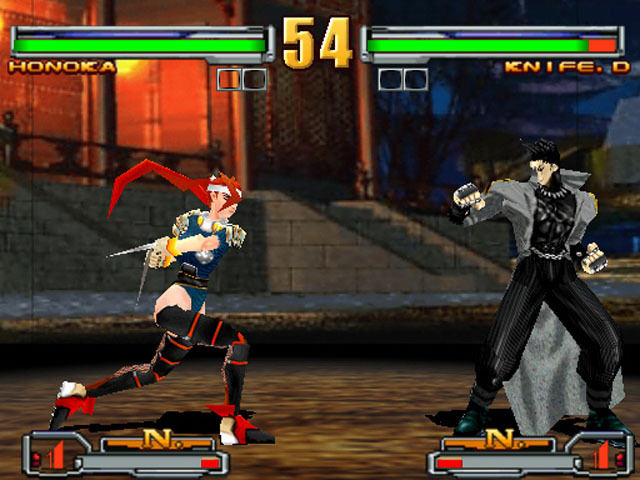 Heart Breakers was also brought to Windows PCs through HiCom / eSofnet as an updated version with hidden bonus characters called NB HeartBreakers Advanced. 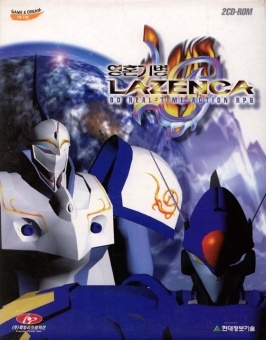 This was apparently a very small budget release without even a boxed version available, and even the jewel case release couldn't be found at most stores at the time1. 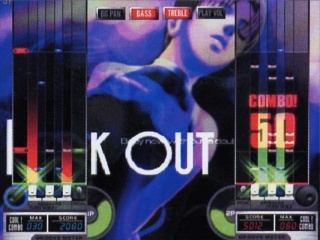 Dance Dance Diet was only one of about a dozen Dance Dance Revolution clones that flooded the market in 1999 and 2000, naturally drowning in a market dominated by the original and the Korean primus Pump It Up. 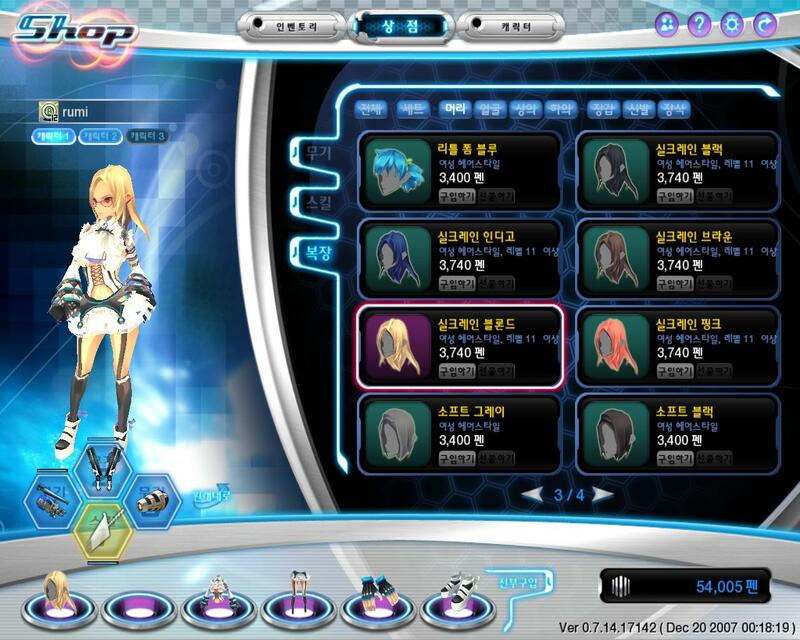 One more iteration of the game reached the market, titled Karaoke Dance Diet and adding of course a karaoke function. 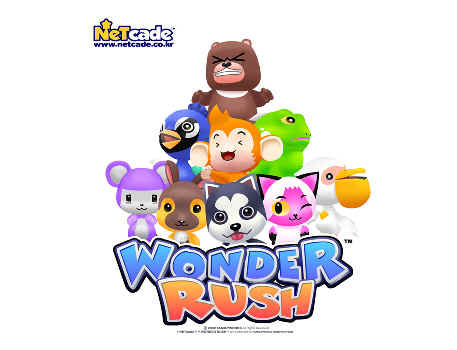 Developed by former staff members of Deniam and Family Production at AmuseWorld, this game is introduced at the Deniam/AmuseWorld profile. 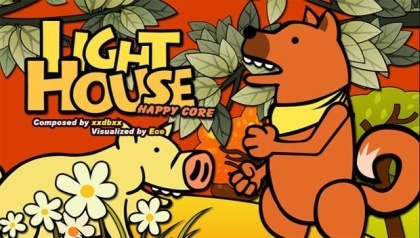 The only known game developed by Family Works, yet it appears the company never survived its release. 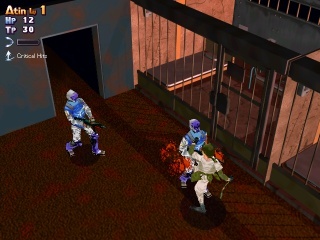 The team members were later hired for Gravity's subsidiary Roplenet, to develop titles for the casual games portal with the same name. 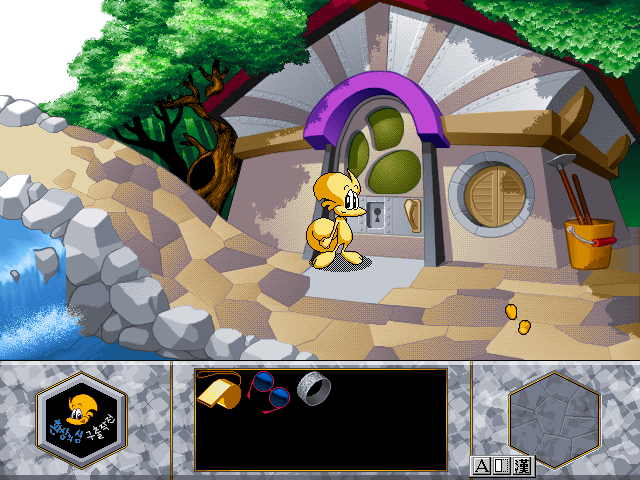 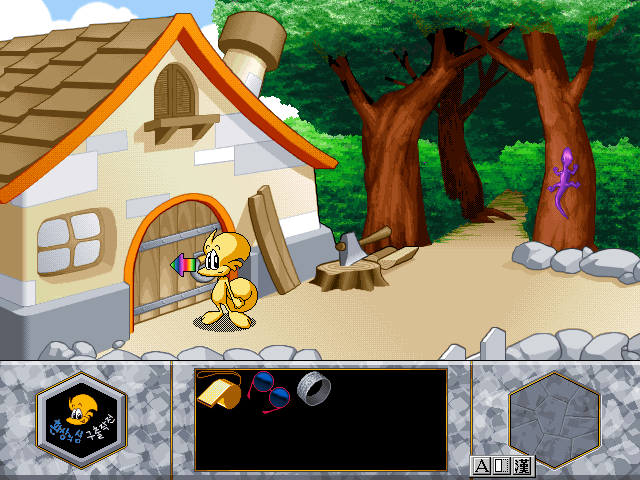 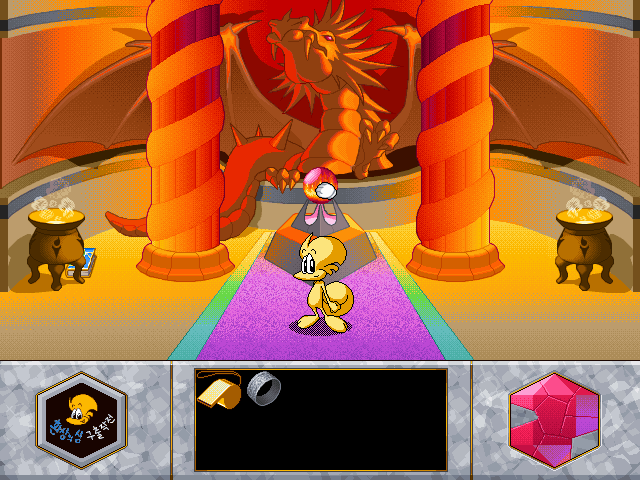 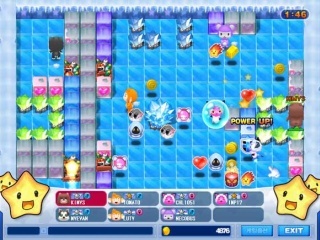 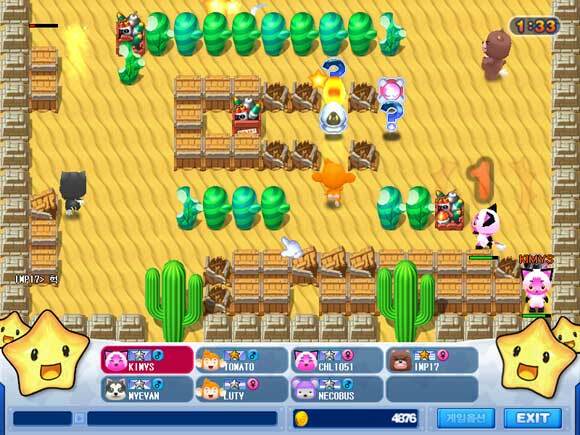 The game was a top-down multi player arena action game like Bomberman, with cute animals as avatars. 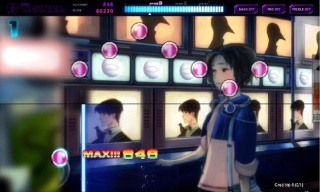 Even after reforming as Pentavision, the team kept concentrating on rhythm games. 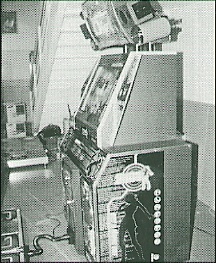 Following the same basic gameplay EZ2DJ did, Pentavision left the arcade sector in favor of the more seminal online game market. 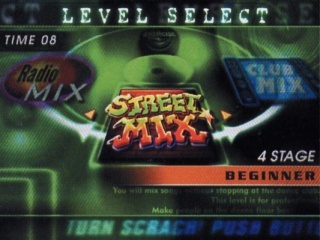 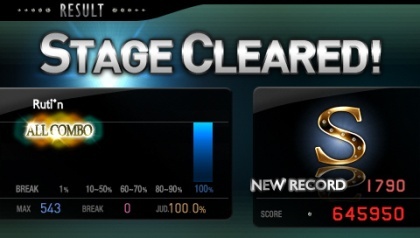 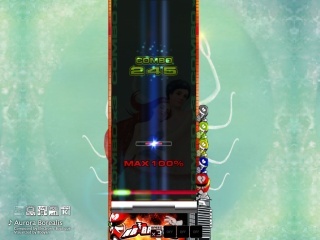 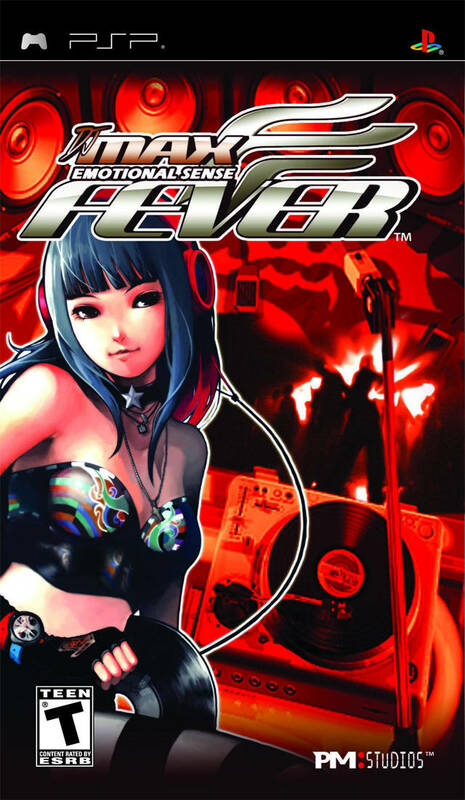 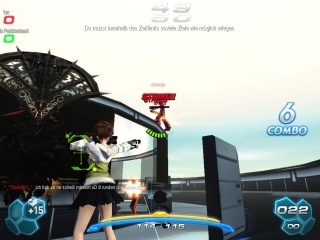 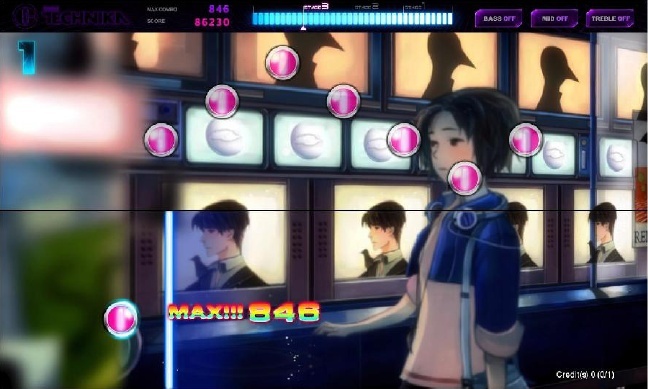 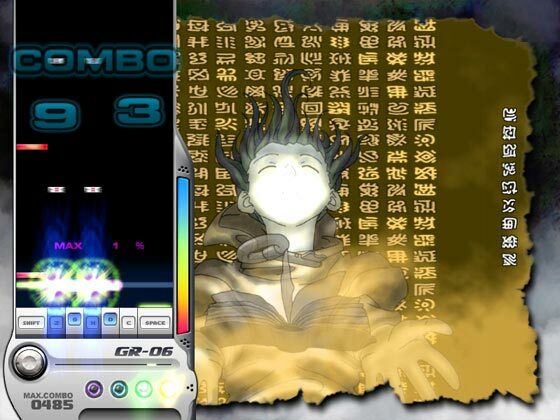 The online game itself was discontinued in 20082, but after a number of portable renditions for the PSP and the PC retail game DJMax Trilogy, the series returned to the genre's arcade roots as DJMax Technika. 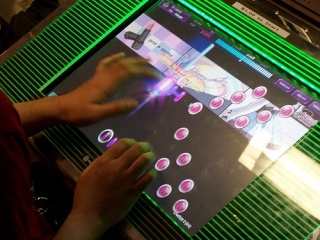 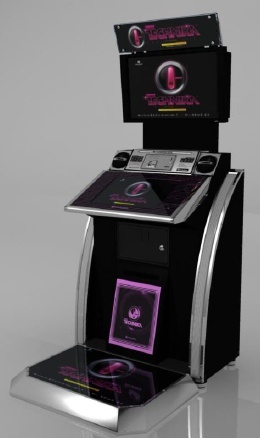 Technika easily is the most innovative rendition of the series to date, relying not on the traditional Bemani-styled controllers but featuring a more modern touchscreen input. 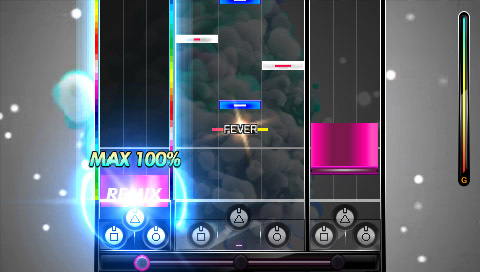 Here it isn't the notes that move over the screen, but a bar hovers over them, first from left to right on the upper part of a vertically split screen, then back to left on the lower half. 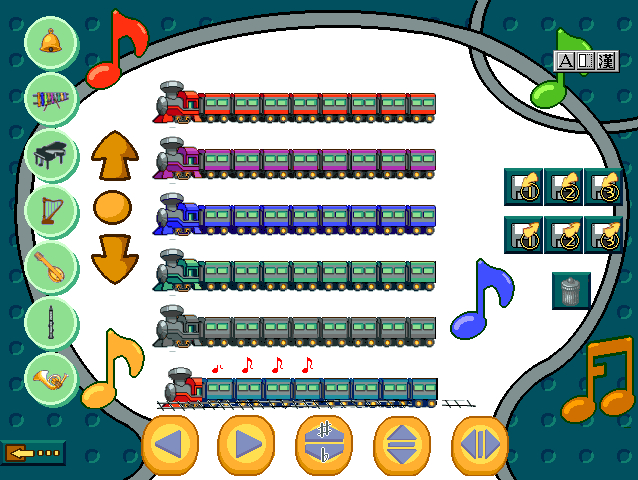 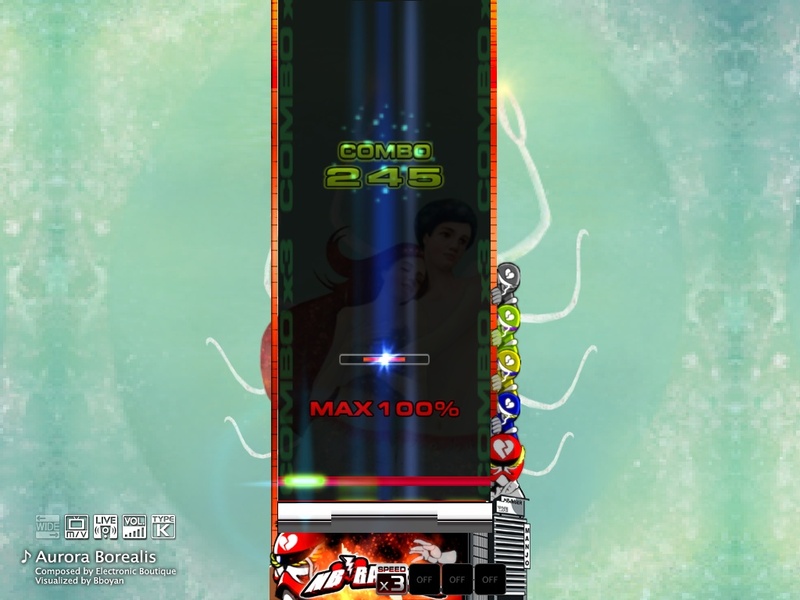 The player has to touch the notes in synch with the bar, giving an interesting twist to standard rhythm game functions, like "hold" notes dragged over the screen. 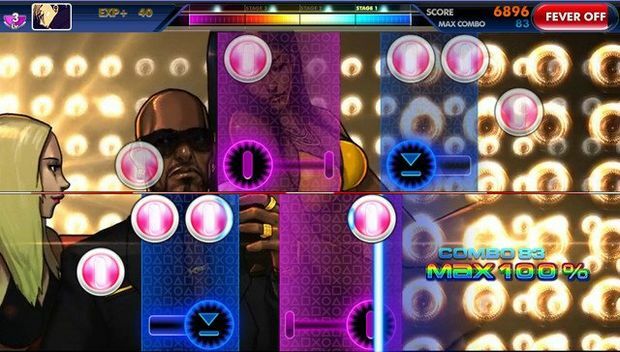 The split screen composition might seem irritating at first, but with some routine in coordinating both hands to take over from each other, one soon feels like a magician, commanding the music at one's fingertips. 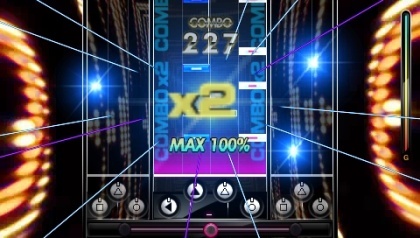 The most recent Technika sequels have been published for PSVita and smart phones. Pentavision doesn't solely rely on the success of their rhythm games, though. Among their other products, S4 League is by far the most successful one, with several running free-to-play services over the world. 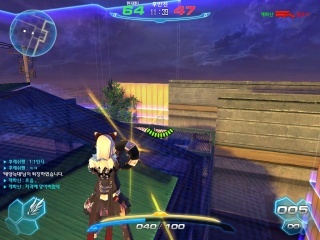 The game is a standard arena TPS with a couple of interesting weapons, stylish moves like wall jumps and sideflips and all the different modes one would hope for. With items purchased in the store next to a huge number of different weapons, players can also set turrets, build up walls, protect themselves with temporary shields and fly around with angel wings. There are many unique play modes besides the standard Deathmatch and Team Deathmatch. In Touchdown players have to sink a ball in the opponents' goal, a demon possesses one of the players in Chaser, who then has to hunt down the others. 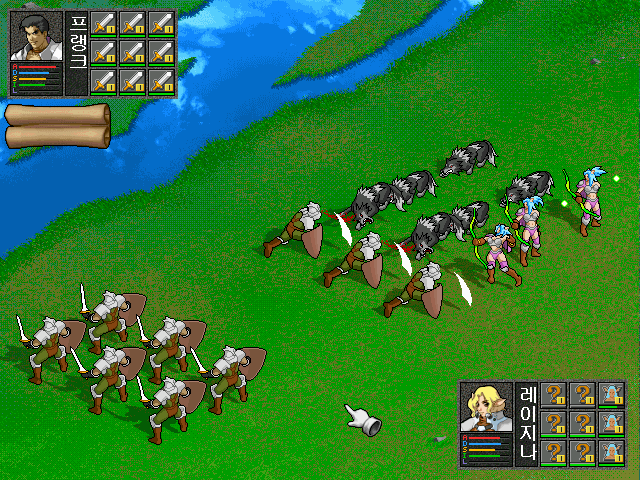 In Captain Mode all combatants start out with a crown, and the fight revolves around stealing them from each other. 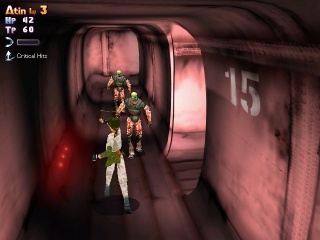 The most recent one is Arcade Mode, which can be enjoyed alone but also in co-op with up to four players. 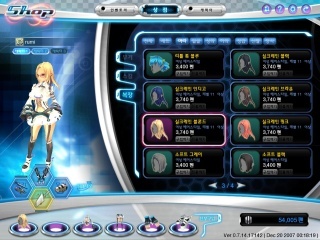 It spans over eight stages with credits being bought in the store. 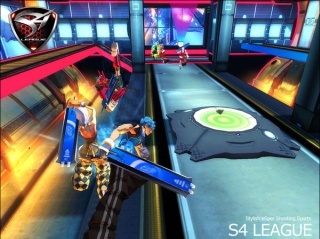 The factor S4 League mostly stands out by, however, is its visual design. And of course that is another opprtunity were the earnings come in, as there's a ton of extravagant, paid fashion options for the excentric gamer. 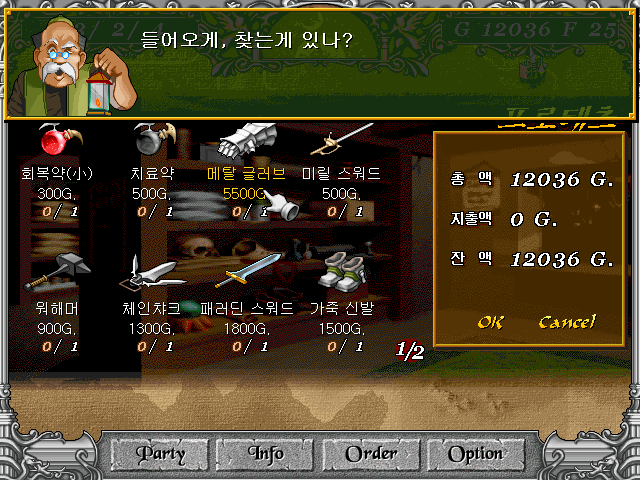 They're no mere decoration, though, as each item boosts stats in different ways. 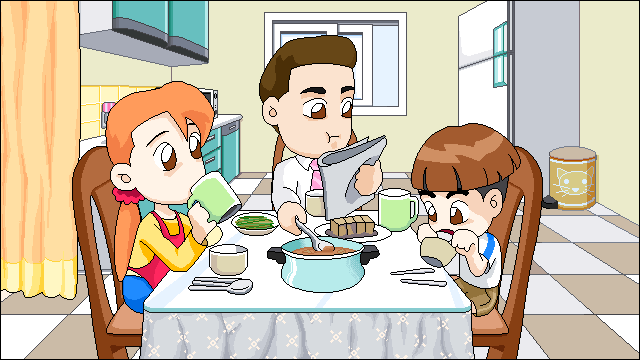 To keep the cash flowing in, items are rented for a specific period rather than bought. 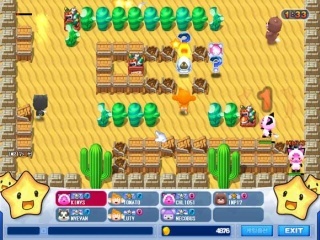 Besides real money, there is also a stock of equipment that can be bought solely with points gained by achieving certain objectives during play. 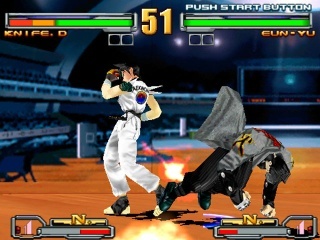 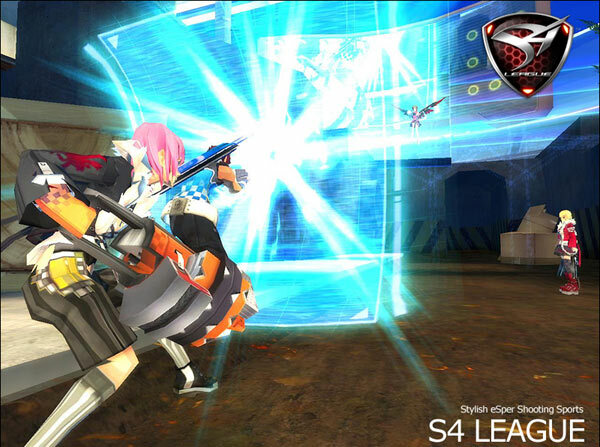 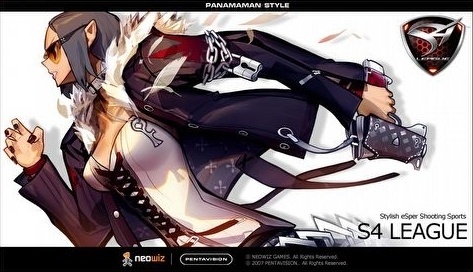 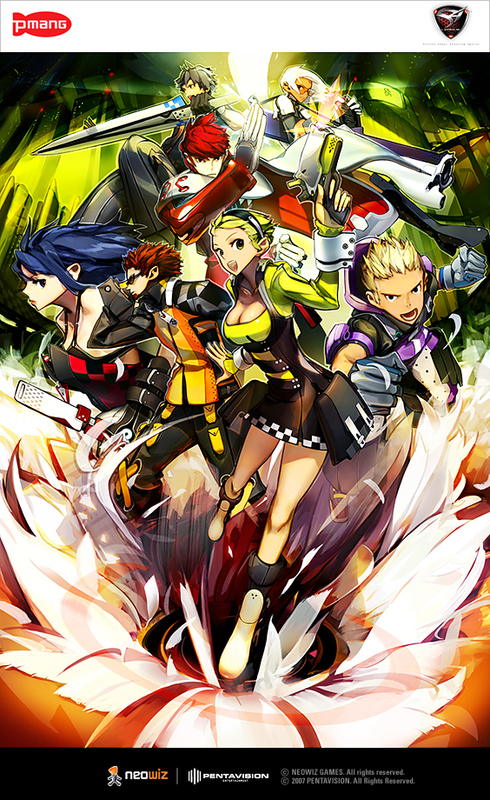 About the same time as the online game, Pentavision also announced a PSP version titled S4 League Portable, which would have featured characters from the DJMax Portable games. 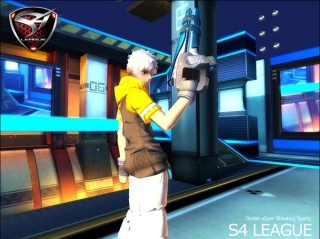 After constant delays, however, it seems that it has been dropped entirely. Duel Gate was a rather obscure mixture between an action RPG and an RTS, with a trading card system on top. 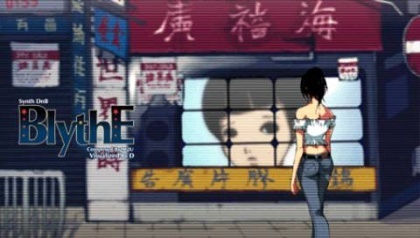 The mix didn't catch on very well, though, and after an eight months open beta phase, the game was shut down on January 20th, 2009.